John Paul Caponigro asked if we could extend our DVD offer till the 27th so he could offer it to the subscribers of his news letter.. So we gladly are extending our offer till the 27th. Oz to Kansas 2.0: The Black and White on Black and White ConversionsBlack and white conversion techniques are like politicians making election promises. Every one of them claims to be the penultimate solution to your needs. Regardless of their claims, usually, you find yourself still needing a solution that creates images that look like photographs and not like something the viewer sees as “something you did in Photoshop”. “Oz to Kansas 2.0: The Black and White on Black and White Conversions” is the evolution of thought that began with “Welcome to Oz : From Oz to Kansas. 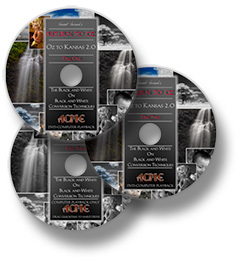 How to convert an Image to Black and White Without Ever Leaving the RGB Color Space.” This Oz to Kansas 2.0 tutorial takes a practical applications approach to when, why and how to convert an image. In it, you will learn which methods give you the best results and when to choose a simple or a complex solution. When and why you should and should not use global de-saturation. When and why you should and should not use LAB conversions. Split Channel conversions - what they are good for and a way to get the same effect with a file two thirds the size. When to use the Black and White adjustment layer to bring out and separate the tones in a color image. The only soup to nuts overview of the Silver Efex Plug-in. How to use it and when. What is “Faux-infrared” and a look at how to convert files to black and white from digital cameras that have been modified to shoot Infrared. When and how to most efficiently use the Gradient tool for black and white conversion. These are some of the areas covered in the CD, but most importantly, every technique has already been made into an action for both CS3 and CS4 …. AND if you are using CS4, the actions have been made into a Configurator panel that will help to speed up your image production workflow. In addition to the actions and Configurator, you also get a full resolution file to work on as well as a 100ppi version of the actual file that was created during the filming of the DVD. Add to this a computer resolution Quicktime of both DVD 1 and DVD2 to download to your computer’s hard drive to watch as you work in Photoshop and you have a lot of information packed into one CD. 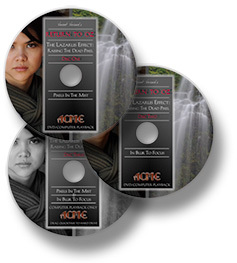 This four DVD tutorial is for anyone who has ever taken an image in which the focus was a wee bit “off”. Maybe you tried to photograph a waterfall and, regardless of your exposure and how carefully you set up your tripod and camera, the focus was a little too soft, or perhaps you have images that you know were in focus when you shot it them, but because of the type of sensor or the way the RAW file was processed, the sharpness you knew the lens could deliver is missing in the images on the screen.This DVD not only teaches you how to bring detail back from both landscape (Pixels in the Mist) and portrait images (From Blur to In Focus), it also presents a new way of thinking about your images as well as a new approach to seeing and creating. If that’s what you would like to learn in about an hour, then this is the tutorial DVD for which you have been looking. Included also are three free plug-ins from NiK software (Contrast only, Skylight, and Tonal Contrast ) as well as a set of actions for both CS3 and CS4 . In addition, if you have CS4, you will also get a Configurator Panel. This tutorial DVD will show you a “how to” approach to the Lazarus Effect using both third party software, as well as a Photoshop only approach using the free plug-ins. I asked Syl Arena if I could post this here because I thought it was one of the most insightful looks at technology from someone who is the best there is at translating Nikonian to Canoniese. Here are his thoughts on strobes. If you do not read his blog you should. What types of small-flash inspiration? Let’s see. There was the elephant-with-the-slinky-model in the dry lake bed followed by the silk acrobat hanging from the crane at sunset. There was the ballerina hoisted above the field of sunflowers and the bride in the desert gale. There was the girl holding the pool cue in the smokey bar. There was the leathery guy with the full-sleeve tats. And, of course, the Shining-esque model in the bay windows. Most recently, I spent the better part of two weeks in McNallyland a guest instructor at Joe’s One-Day Lighting Workshops in NY (read my review here and check out Joe’s workshop pix here, here and here.) It’s impossible to be witness to the making of so many great photographs and not be inspired. Now, don’t get me wrong. For the most-part, I’m a happy Canonista. My first Canon, an A-1 purchased nearly 30 years ago, sits in a place of prominence atop the bookcase next to my bed – meaning it’s one of the first and last things I see every day. I think that the 5D Mark II is an amazing value in the DSLR market and praise the brilliance of adding 1080P video to it. There are a lot of lenses for the Canon system that Nikon has yet to make or only recently introduced. So, as I said, I’m a relatively happy Canonista. But, there is no doubt, after working on location and in the studio with Joe over several years, that Nikon’s CLS Speedlight system is much more intuitive to use. Why does this matter to me? Well, as a creative, I rely upon my intuition a lot. The more intuitive a process is, the more creative I become. The more creative I am, the more interesting my pictures become. Blurb highlighted my alumni’s Blurb Group Book John Paul Caponigro’s Next Step Alumni Group on their blog today. Blurb’s Natalie Shahmiri asked me about the project and about my impressions of the state of books. “Books have been essential ways of sharing work for artists. Without them a majority of artists’ works would have remained invisible. Only a few people would have see them, not larger audiences. Even with the advent of the world wide web, books remain important communication and marketing tools. Printed matter offers focussed, localized, persistence while the web offers diffuse, transient, ubiquity. Books can also be the final product, special things in and of themselves. Blurb books now come in 6 different sizes. Hard or softcover. Standard or premium paper. You’ve got options. Blurb book previews (the ones visitors can see when they visit Blurb) are Google searchable! That’s right, the text in your Blurb book preview will be picked up by Google’s search engines. Wow! Now you can use your own graphics layout software to design books and print them on Blurb. Or, you can have someone do this for you. The point is you don’t have to use Blurb’s BookSmart software to make Blurb books anymore. Of course, your designs need to fit standard Blurb book sizes. But after that … the sky is the limit. Blurb’s easy to use book design software (free online) has been updated. It’s faster, easier, and more customizable. Find out more and download the free BookSmart 2.0 here. 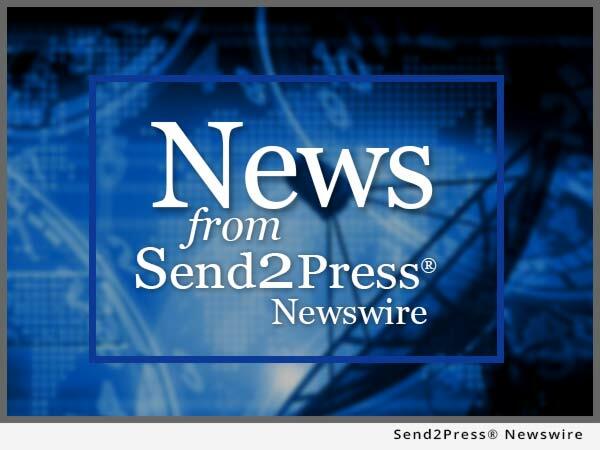 KIEL, Germany and SARASOTA, Fla., July 6 (SEND2PRESS NEWSWIRE) — LaserSoft Imaging releases the new SilverFast 6.6.1, world-wide the first software generating perfect raw data from photos and slides. In order to generate perfect digital RAW data scanned from your originals, LaserSoft Imaging has developed a new 64 bit HDRi format for SilverFast 6.6.1 which not only contains complete image data but also has embedded the dust and scratch information from the scanner’s infrared channel. This new format is the best way to protect your precious memories against destruction, loss or fading! The 64 bit HDRi file serves as a starting point for all further image editing steps – regardless when, where and how. Other approaches process dust and scratch removal during the scan process itself, without any possibility to control or influence the process afterwards. In any case, this can lead to final loss of fine image details without the user ever noticing. The new 64 bit HDRi format from LaserSoft Imaging contains the full dynamic range data of the original plus all image correction data in one file. HDRi surpasses the principle of “Non-Destructive-Editing” since the user can always optimize all corrections over again. Instead of driving the scanner directly, SilverFast HDRi enables the user to read and process raw data with maximum speed, so as if he would have direct access to his scanner. Read more information at: www.silverfast.com/highlights/hdri/en.html. LaserSoft Imaging was founded 1986 in Kiel, Germany, by physicist Karl-Heinz Zahorsky, the president of the company today. SilverFast is today regarded as the standard software for scanners and digital cameras serving both beginners and professional alike. Today, SilverFast is bundled by manufacturers like Canon, Epson, HP, Leica, Microtek, Mediax, Pentacon (Praktica), Plustek, Quatographic, Reflecta, Samsung, Umax and others. SilverFast® is the most successful scanning software, with 2 million copies sold worldwide. SilverFast® was granted the EDP award for the “Best Color Management Software” in 2008. Further information please find at www.SilverFast.com. LaserSoft Imaging, Inc., P.O. Box 15949, Sarasota, FL 34277, USA. NEWS SOURCE: LaserSoft Imaging, Inc. If you want to know what’s happening in the Nikon world Nikon has created a new area called Nikon Next. You have a choice of languages to view the Nikon Next site in. Worth checking to see what the latest and greatest things are happening for all things Nikon.